One of the Strip's most memorable concert experiences is found inside The Colosseum at Caesars Palace. Home to some of the world's top recording artists, including Celine Dion and Elton John, The Colosseum houses some of the Strip's most impressive musical productions. In recent years Las Vegas has gained quite a bit of concert seating for big names. Large venues, like the T-Mobile Arena, can host even the largest events with seating up to 20,000. Make sure to plan ahead when you’re attending a show at these big venues. Give yourself plenty of time to arrive at your seats, and consider alternatives to driving so you don’t have to contend with traffic jams and scarce (not to mention expensive) parking. 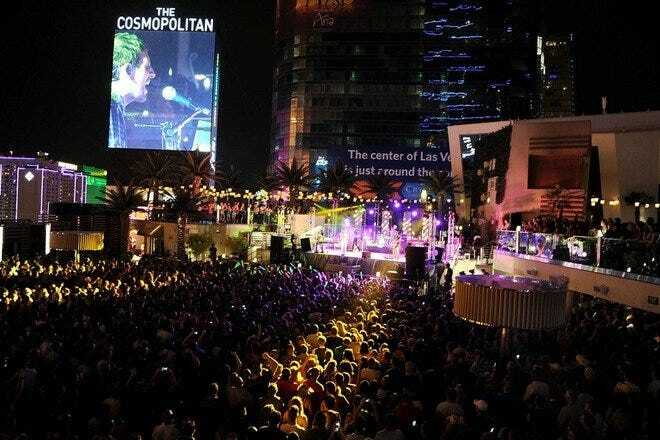 Smaller music venues on the Strip offer more intimate experiences, like The Chelsea at The Cosmopolitan of Las Vegas, with a maximum seating of 2,500. Smaller halls and rooms give the audience a different experience than the stadium-style concerts do, which is great for music enthusiasts who like to feel as close as they can to the performers. Still wondering where to catch some tunes? 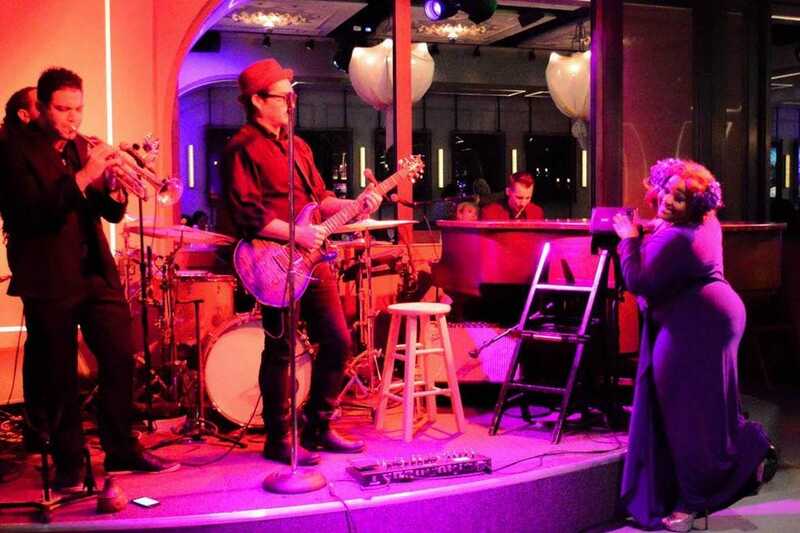 Our list should give you some ideas on the best places on the Strip to hear live music. Carnaval Court keeps the party going from lunch until the wee hours of the morning, and you have to have music for that. 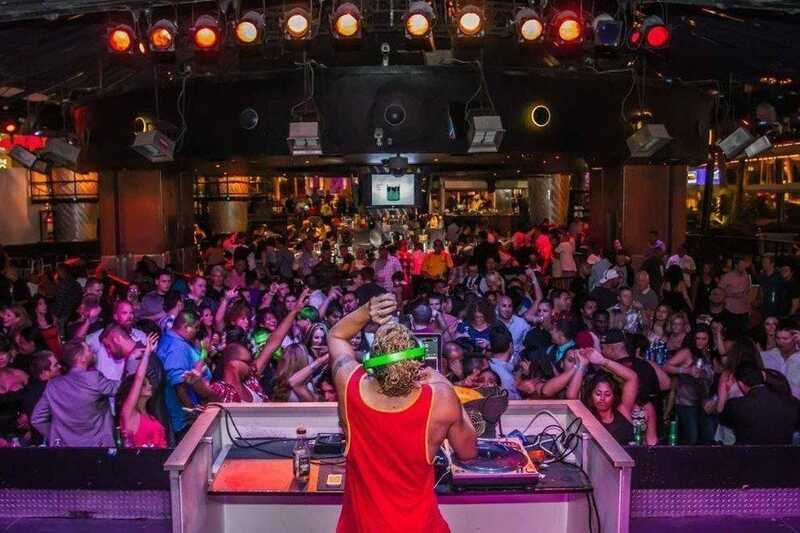 The bands at Carnaval Court are Las Vegas lounge regulars who know how to keep the crowd on its feet. DJs are on hand as well, and when you're not dancing you can watch the bartenders--they're flair bartenders, those folks who throw and flip the bottles around--so pouring a drink for them is an entire show for you. The casual, open-air setting at Carnaval Court feels like Spring Break, and the music keeps that mood going. There's no cover to get in and the atmosphere is breezy and relaxed. Rose.Rabbit.Lie. 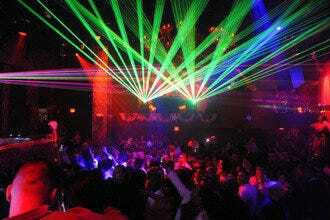 blurs the lines between theater, club, restaurant and bar. This is a place that specializes in unpredictable evenings, so you can expect the unexpected. The spontaneous, live performers include singers and dancers, but there is simply no telling what type of entertainment you might see. Rose.Rabbit.Lie defines itself as a modern supper club, and their menu wins consistent praise. 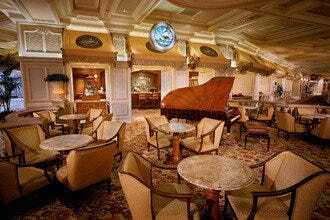 While you can choose to have dinner, you can also have a seat at the bar to enjoy their hand-crafted cocktails. 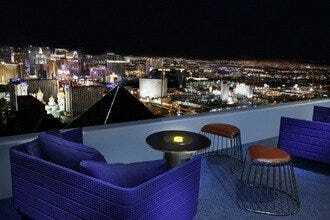 Either way, the atmosphere here is posh and the experience unlike any other in Las Vegas. Upscale cocktail attire is required. One of the most interesting things about Brooklyn Bowl is trying to define it. It's a concert venue, a bowling alley and a restaurant. The concert venue is standing room only, but you can splurge on "seats" at the bowling lanes adjacent to the stage, which feature large, comfortable sofas. Food and beverage service is also available, with food from Blue Ribbon, best known for their signature chicken. The artists playing Brooklyn Bowl include bands like Blue October, Echo and the Bunnymen and Ben Harper. There's also a steady lineup of tribute bands. 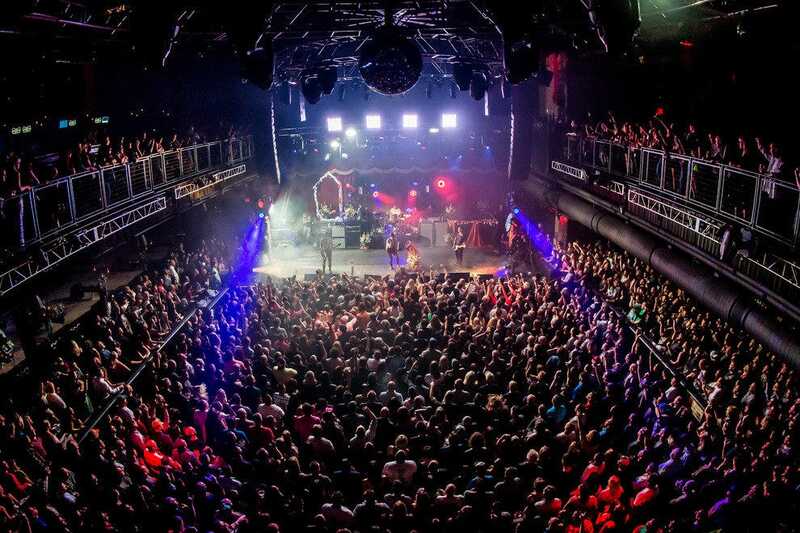 Some performances are free, and many are low cost, making Brooklyn Bowl one of the more affordable ways to see live music on the Strip. The new T-Mobile Arena in Las Vegas is the Strip's first major, stand-alone venue of its size. 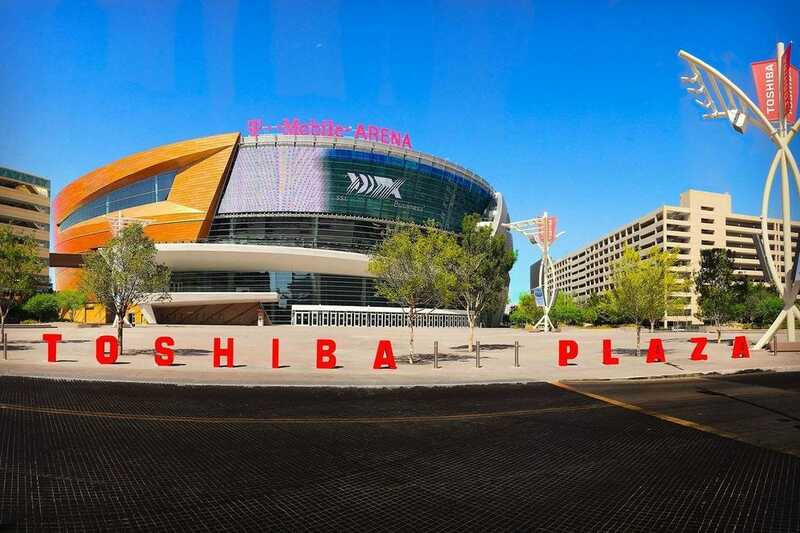 With a seating capacity of up to 20,000, this arena is large enough for any major performances, from concerts to professional sporting events (most notably the new hockey team in town, Vegas Golden Knights). The arena has premium amenities throughout, and its location on the Strip puts it within walking distance of an incredible number of restaurants and things to do. T-Mobile even has its own upscale lounge, Hyde, which offers incredible views of the arena and extras like bottle service and food. 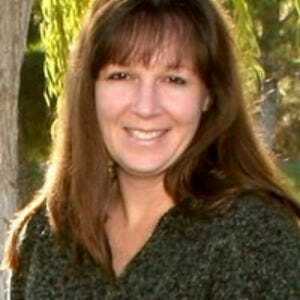 Past shows include Iron Maiden, Bruno Mars, Hall & Oats, George Strait and Lady Gaga. Before or after your T-Mobile experience, you can stroll thru The Park, adjacent to the Arena, an open-air gathering space with plenty of places to mingle and have a bite to eat. 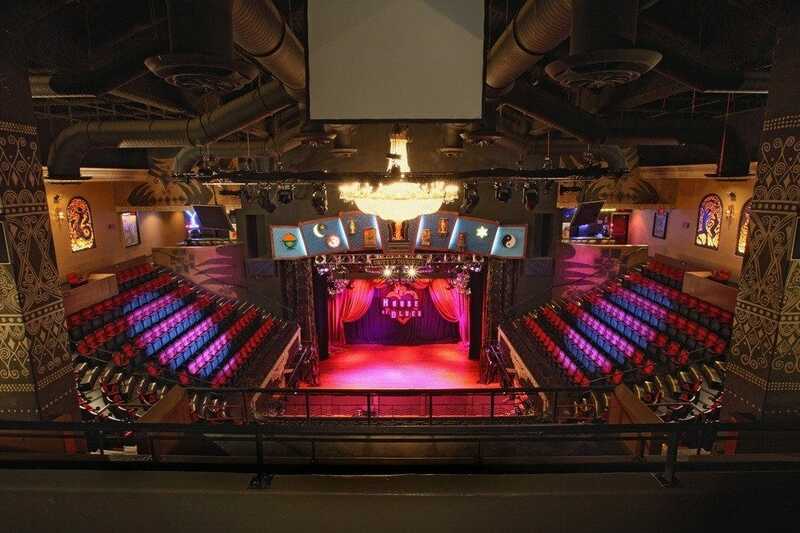 Featuring state-of-the-art sound and lighting technology in a one-of-a-kind custom-designed environment designed to bring fans and artists together, the House of Blues inside Mandalay Bay is one of the country's preeminent live music venues. Regular appearances from Carlos Santana are just one reason to check out HOB's music schedule. True to its Southern theme, the House of Blues' decor feels like you've stepped into a Vegas version of New Orleans. 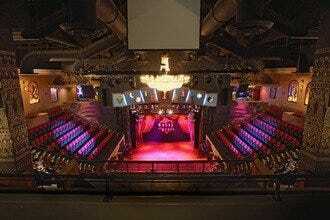 The stage and music hall are at the center of HOB, with the area directly in front of the stage typically being standing-room only. In addition to musical acts, the House of Blues also hosts popular comedians. One of HOB's most popular regular events is the Sunday Gospel Brunch. Every Sunday, guests can fill up at a Southern-style brunch buffet before a soulful performance of authentic Gospel music. 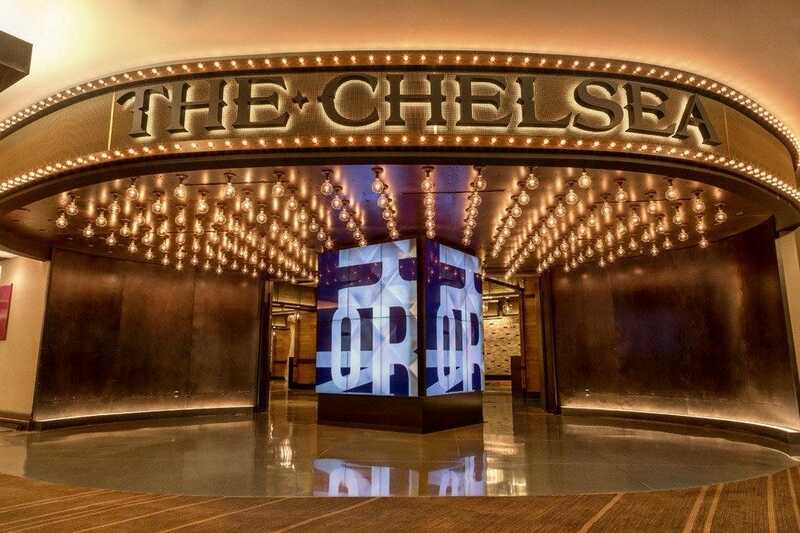 The Chelsea at The Cosmopolitan of Las Vegas showcases a wide range of artists, from those who are well-known to artists who are just gaining traction. The result is a impressively wide array of musical choices for concert goers. The venue features remnant brick tiling, an interesting collection of stage props, a vintage lobby bar, VIP gallery boxes and a grand staircase with a striking chandelier. Prior acts have included Foster the People, The Shins, Deep Purple and Alice Cooper and Foreigner and Cheap Trick. 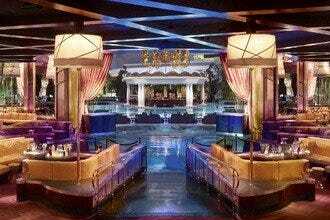 The venue is conveniently close to The Cosmopolitan's noted restaurants and bars, giving guests plenty of places to stop before and after a show. Plan as far ahead as possible to get the best seats. General admission tickets are standing room only, and mid-priced assigned seating can sell out quickly. 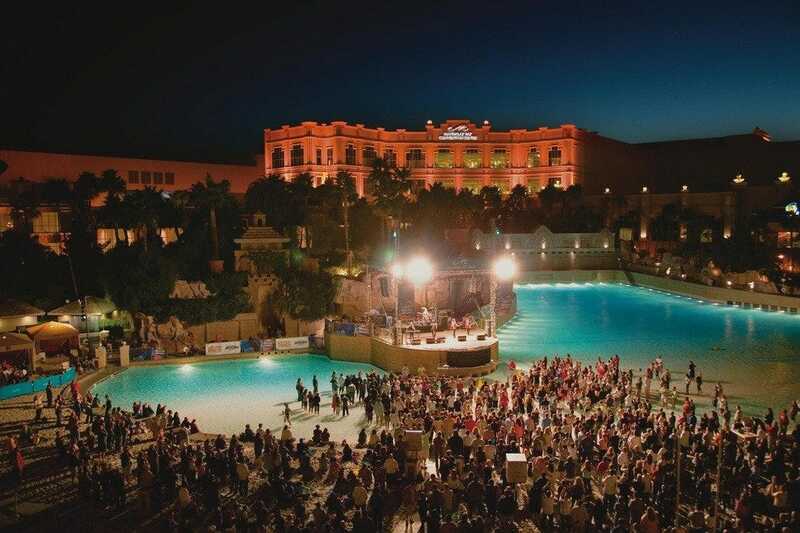 One of the Strip's most unique concert-going experiences, Mandalay Bay Beach hosts its Beach Concert Series every year in the warmer months. Music lovers are invited to bring their blankets and sit on the beach or wade in the surf as they listen some of the biggest names in music perform on a one-of-a-kind stage suspended above the resort's 1.6 million gallon wave pool. Past performances have included Ringo Starr and the All Starr Band, Pitbull, The Beach Boys, Chris Isaak and OneRepublic. Tickets are general admission, but cabanas can be booked in advance. Either way, guests are sure to have a great time. For preferred seating, check into the Beachfront Experience, which gives guests premier access to an exclusive area on The Beach with lounge chairs, cocktail service and the best views of the show. The Zappos Theater started life several decades ago as the Aladdin Theater for the Performing Arts, and while the Aladdin is long gone, the theater remains. Extensive renovations have kept up the theater's appearance and amenities, both for performers and guests. Currently, the theater hosts a revolving line-up of resident performers: Jennifer Lopez, Gwen Stefani, Backstreet Boys, Pitbull and Lionel Richie. The 7,000 seat theater offers VIP tables with bottle service, large video and projection installations and an impressive sound system to go along with the theater's acclaimed acoustics. The theater is located in the middle of the Miracle Mile Shops and is easy to find and access, with plentiful parking nearby. Barbra Streisand was the first performer to grace the stage at the MGM Grand Garden Arena, which was a sign of the great entertainers to come. 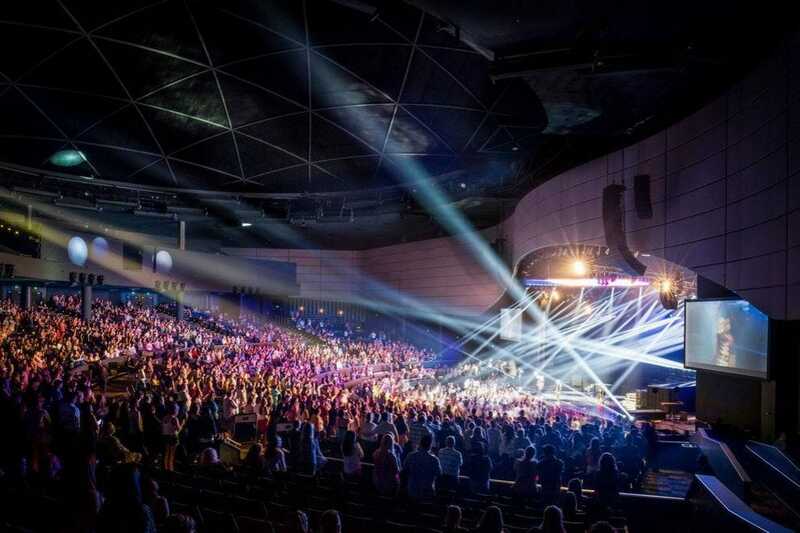 The venue has been home to major awards shows and music festivals including the Academy of Country Music Awards and the iHeartRadio Music Festival, making the MGM Grand Garden Arena one of the Strip's top music venues. 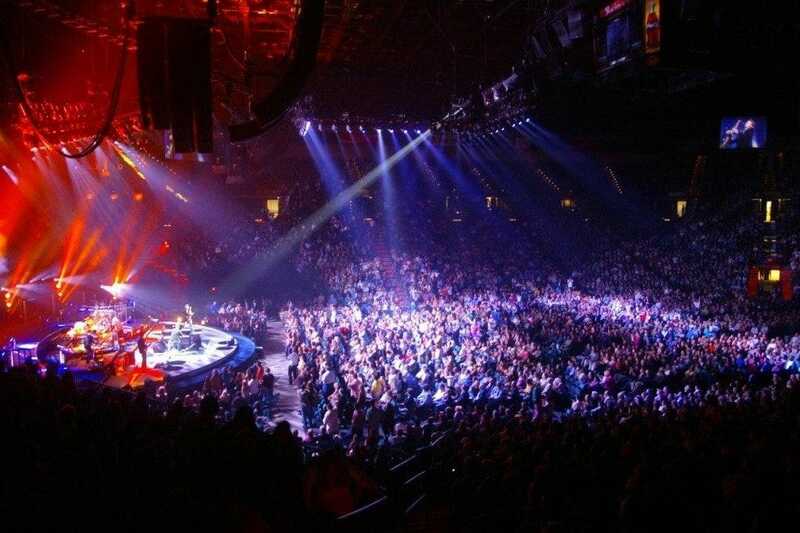 The multi-purpose venue has hosted numerous world-class concerts over the years, including U2, Madonna, Paul McCartney, Bon Jovi, Reba McEntire, Tina Turner, Bruce Springsteen, The Rolling Stones, Whitney Houston and Justin Timberlake. It's also the site of several major sporting events, including championship boxing, UFC and NBA preseason basketball. 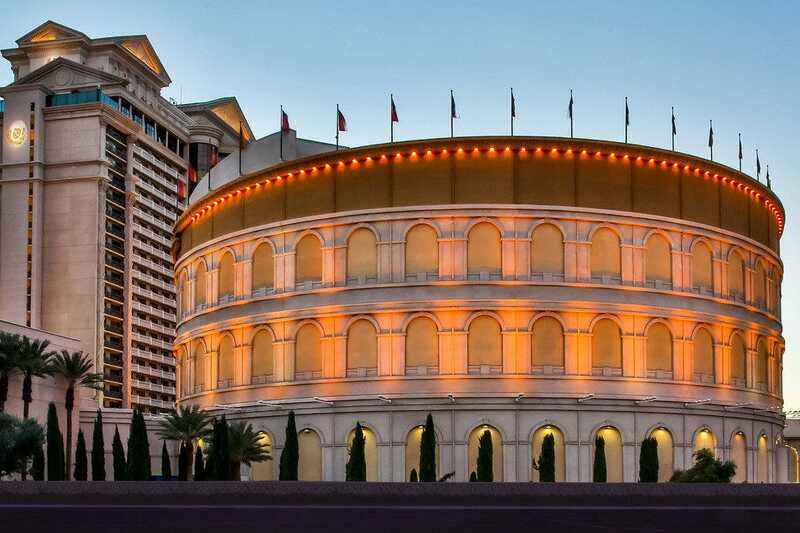 Las Vegas' premier music venue, The Colosseum at Caesars Palace has been home to some of the world's greatest entertainers since opening its doors in 2003. It was originally created for Celine Dion's "A New Day..." but has gone on to host more than 2,000 events. In addition to serving as home for several Vegas resident performers, including Celine Dion, Elton John and Mariah Carey, The Colosseum is home to one of the largest indoor, high-definition LED screens in the world: the massive screen stands 110 feet wide by 34 feet tall and weighs 31 tons. 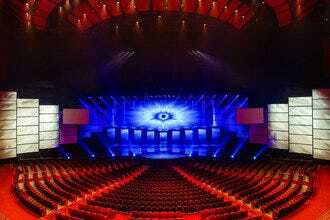 There was no expense spared, as the saying goes, to construct a venue worthy of the biggest names in entertainment. Guests reap the benefits of this idea, which no seat being a bad seat, amazing acoustics, and unobstructed views.